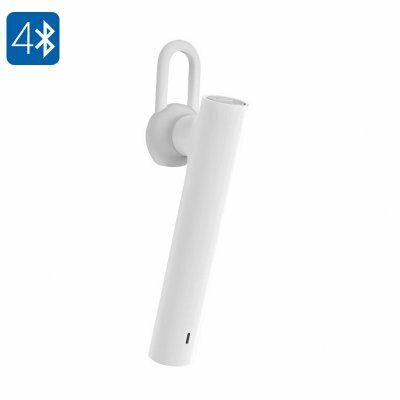 Successfully Added Xiaomi Bluetooth Headset - Award Winning Design, Bluetooth 4.1, CSR8610 Chipset, 10M Range, Ultra Lightweight (White) to your Shopping Cart. Winner of the IF design awards 2015, this Xiaomi hands-free Bluetooth headset holds a remarkably stylish and sleek look that surely will grab people’s attention. Its ultra lightweight design make this earphone just 6.5 grams in weight, allowing you to wear it constantly without even noticing it’s there. Equipped with a state of the art ear piece this Xiaomi Bluetooth headset is guaranteed to form a perfect fit to all its users, no matter the size or shape of their ears. Equipped with a CSR 8610 chip set this Bluetooth earphone delivers audiophile quality sound and voice quality. Its small yet powerful 130mAh lithium battery delivers up to 40 hours of non-stop music listening time. Simply sync your headset with any Bluetooth-enabled smartphone and you will be able to listen to your favorite tracks endlessly no matter where you’re headed. Its modern one button design additionally gives you the possibility to answer, reject, or end phone calls without the need to physically reach into your pocket to grab your phone. Perfect for on the go or while in the car, this Bluetooth headset by Xiaomi features a 10m operating distance. Whether you use it to listen to your favorite tracks while exercising or to answer an important phone call hands free while driving your car – these award-winning Bluetooth headphones by Xiaomi certainly will make your life more convenient. Its universal fit and light weight design make this ear piece comfortable to wear for both young and old while, simultaneously, pimping up your style with its beautiful and stylish looks. This Xiaomi Bluetooth Headset comes with a 12 months warranty, brought to you by the leader in electronic devices as well as wholesale electronic gadgets..